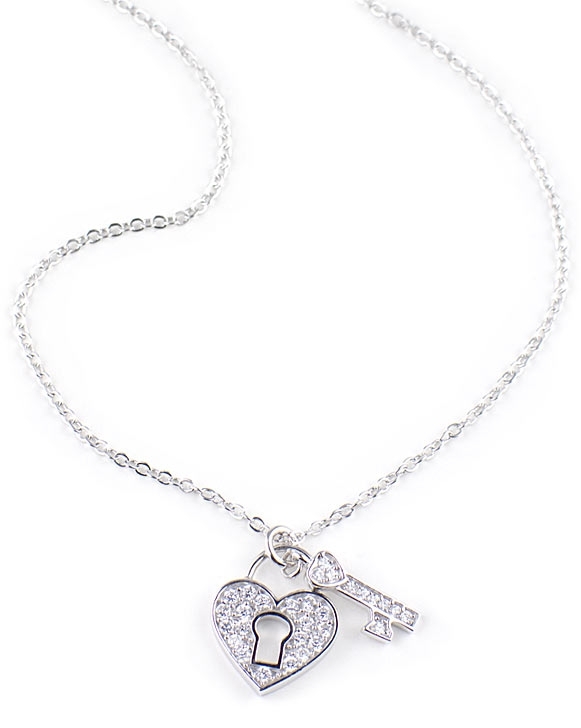 Sterling silver Heart & Key necklace with platinum finish by Crislu. 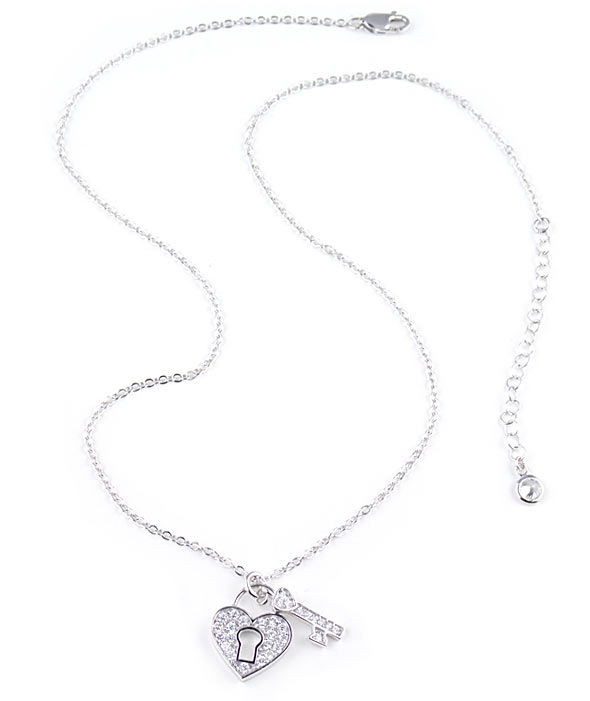 This designer necklace features a key and heart charm pendant dressed with 0.6ct pavé cubic zirconia gemstones. Heart measures 17mm x 15mm and key 15mm x 3mm. Silver chain measures 40.5cm (16") in length with 4.8cm (1.9") extender and lobster clasp. A contemporary classic piece of jewellery that also makes a great gift. Length: 40.5cm / 16". Extender: 4.8cm / 1.9"